Divorced SWAT officer Alex Decker devotes himself entirely of his work, straining his relationship with his teenage daughter. When his old childhood friend and former colleague Victor is released from prison, Alex must confront his past. From 1992 to 1999, he produced and line-produced a dozen short films, such as Perfect Day by Reza Rezaï and Talon d’Achille by Nicholas Cuthbert. In 1994, he became unit manager for a Canal + TV series and in 1995-96, he worked as international sales manager at Fox Lorber in New York. He continues to work in the marketing department at New Concorde/Horizon in Los Angeles. He directs in 1997 a TV mini-series titled The Toilette Zone. In 1997, Hamster production hired him as unit manager for a TV series broadcast on France 2. From 1996 until 2001, he worked as freelance editor for television and feature films. In 2001, he directed and produced his first feature film, Neutre that is released on Swiss cinema screens the same year, then on television in 2003 and on DVD throughout Switzerland. Neutre was screened in many festivals, among others Montréal, Mar del Plata, Hof, Brunswick and Geneva. At the same time, he formed his production company. He then directed a music video for a Swiss rap band “Sens Unik”. In 2003, he directed two documentaries for the series PHOTOsuisse for the Télévision Suisse Romande (TSR). In 2004, he produced Elena Hazanov’s first feature film Love Express that was distributed in French-speaking Switzerland as of September 1. The same year, he co-produced with the TSR the documentary Geisha, The Twilight of Flowers, broadcast on TSR2 on December 6, 2004 and sold to numerous TV channels. He produced Ryna, Ruxandra Zenide’s first feature, released in Swiss theaters in 2006 and selected in many festivals, where it won numerous awards, among others at Cinéma Tout Ecran, Mannheim-Heidelberg, Tromso, Annonay and Milan. In 2005, he also directed the documentary Swiss Made in Hollywood, which relates the actual experiences of three young Swiss people who try to build their career in Hollywood. The TSR broadcast it twice in May 2005 and TV5 in May and August 2005. The same year, he directed an episode of the series DESIGNsuisse about the designer Yves Béhar. 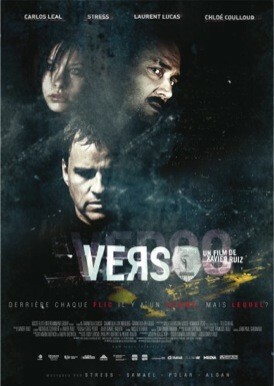 At the same time, he starts writing with Nicholas Cuthbert the screenplay of his second feature film Verso.